Having short jheri curls in your hair can give a really amazing look. 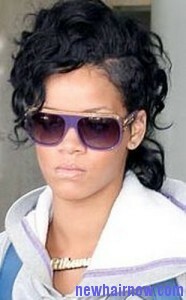 This hairstyle was very much popular during the 1980s as it was worn by most of the celebrities. 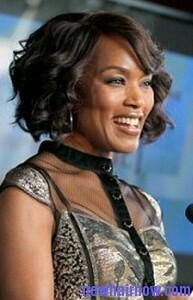 It is one of the non maintenance hairstyle that can be created using a jheri curl styling kit. Comb the hair to create four parts and apply a little amount of hair softening cream available in the styling kit. Let the cream to stay on the hair for the time mentioned on the kit and rinse it from your hair using warm water. Now wash the hair normally using neutralizing shampoo and roll the hair in perm rods. Take the permanent wave product from the kit and use it on the hair rolled in the perm rods. Make sure mist the permanent wave spray all over the hair on the rod and cover it using shower cap for about half an hour. Now get the hair rinsed to remove the permanent wave product and use the neutralizing solution on the hair in the rod. Leave it for about five minutes and use warm water for rinsing the hair again. Make the hair to dry using a towel and take it out of perm rods. Start spreading curl activator from the kit all over the hair using your hands and mist it with curl moisturizer. Brush the curls using wide tooth comb to set the hairstyle.